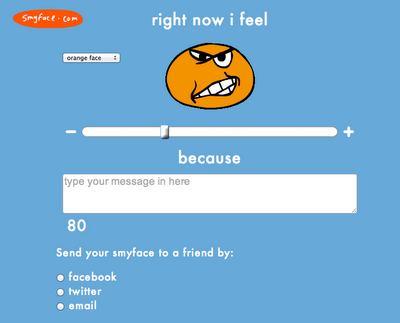 Smyface is a simple interactive website you can use to emphasize feelings vocabulary and the connections between real-world events and internal responses. Use the slider to view a huge variety of facial expressions, match them to emotional vocabulary, and work with students to link feelings to events. Smyface is a great stop to use in conjunction with a storybook or chapter book in order to target story grammar: the relationship between characters, initiating events/problems, responses and even plans! Bonus points to this site for having such an emphasis on causal constructions! Your completed smyface can be shared in a variety of ways, as seen above. 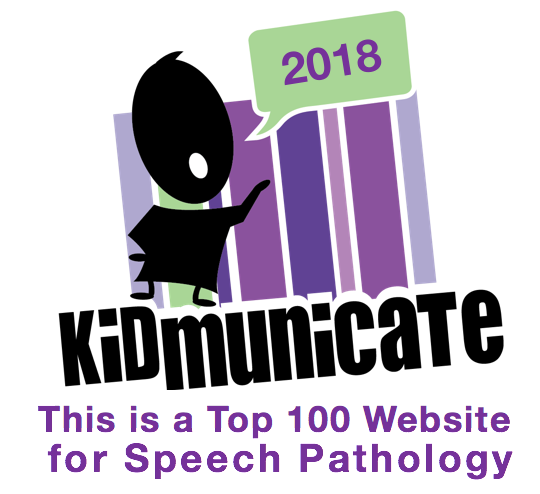 Thanks to Larry Ferlazzo for highlighting this site. This could be a great tool for helping language students identify their emotional response to language learning, as well. Students (even adult students) could email the teacher with their "face" feelings about progress, current topics, etc. Thanks for the post!